The wait is officially over! 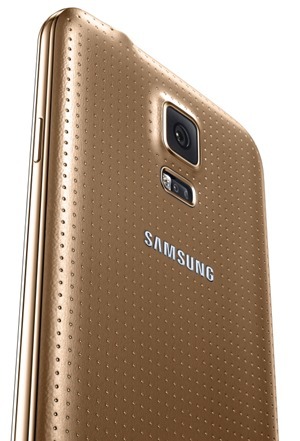 Samsung has finally announced The Next Big Thing, the Galaxy S5. It’s packed with some new features which are sure to entice a lot of people in the year to come, and as ever, we have all the details, including specs, pricing and release date. 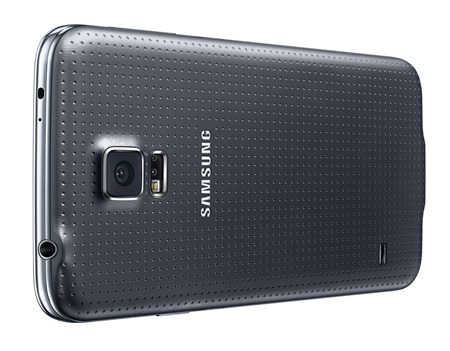 The Galaxy S5 resembles last year’s Galaxy S4 in terms of design. But that is only true when you look at the front of the device, which is taken up by a beautiful 5.1-inch full HD AMOLED panel. It might come as a disappointment to some, but yes, the device has remain unchanged from what we saw last year in terms of resolution, it’s still a 1080p panel, no 2K display as we heard about in the leaks. Turning the device over, we’re greeted with a dotted plastic design. Samsung has finally made the move and given up the glossy back cover for something new, and overall, it gives the device a better feel over the last year’s Galaxy S4, which is of course a good thing in our books. But really, we wished Samsung had gone metal this time around, but thanks to the overall plastic design, the device weighs in at just 145 grams, which makes the device extremely light when it comes to day to day use. On the back of the device, we’re greeted with a new 16-megapixel rear facing camera, which is capable of shooting 4K UHD video at 30 frames per second. But the 4K bit isn’t what excites us the most; the camera is also capable of shooting video in HDR, and coupled with video stabilization, you can be rest assured that Samsung plans to take on the photo and video market with guns blazing. Samsung is also introducing new features as part of its camera package, which includes HDR (Rich Tone) for even better and clearer HDR shots, along with Selective Focus, Virtual Tour Shot, Shot&More, enough to keep photo enthusiasts busy for quite a while in the days to come. 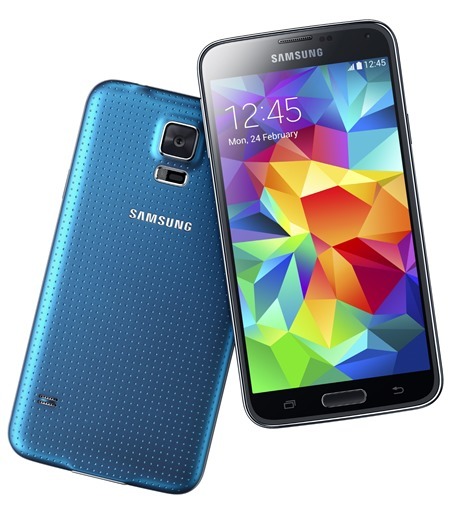 The Galaxy S5 is IP67 dust and water resistant, which makes it a tough device. We wouldn’t recommend taking it right away into the shower, or a swimming pool though, but the new certification hints at the fact that we might not see a Galaxy S5 Active variant this time around. 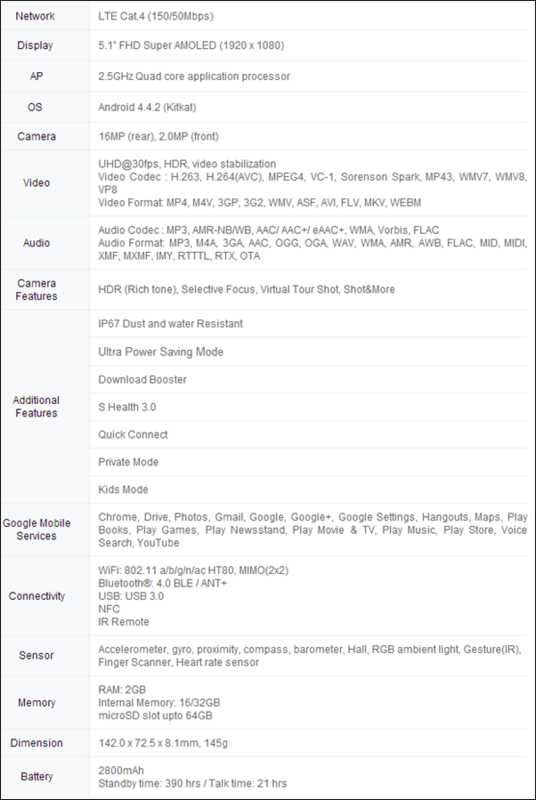 Rest of the features are pretty standard, and something which we come to expect from any device that is released in the present age; Wi-Fi 802.11 a/b/g/n/ac is there with MIMO technology, Bluetooth 4.0, USB 3 support, NFC and an IR blaster. Additional features include Download Booster, which uses cellular data + Wi-Fi to give downloads a mighty boost, S Health 3.0 with new and improved health and fitness related features, Quick Connect, Private Mode and Kids Mode. 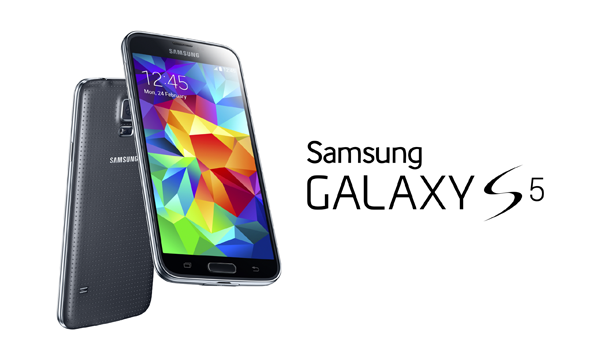 In terms of hardware, the Galaxy S5 packs a great punch! Powered by a mighty 2.5GHz quad-core, coupled with 2GB of RAM to ensure that things are nicely ticking over throughout the day. The device is powered by Android 4.4.2 KitKat right out of the box, which is great news for power-users and consumers alike. But Samsung has promised that the 4.4.2 update will also be available to other Galaxy devices in the days to come. 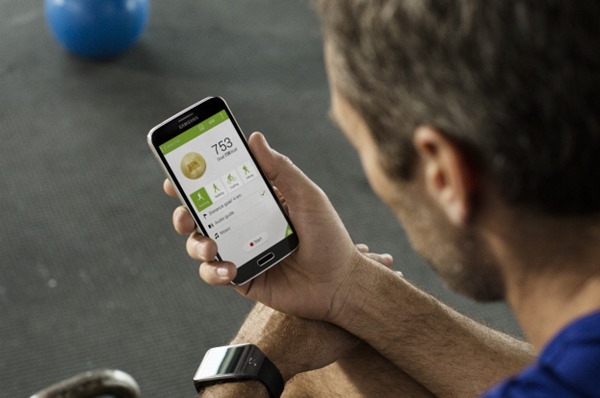 Galaxy S5 also comes with a heart rate monitor built right in. It’s situated underneath the camera lens at the rear, and monitors your heart rate by placing your finger on top of it. This could prove to be a great feature amongst those who are always out and about searching for new ways to keep track of their health, and hands down, Samsung has delivered in this arena. And yes, the Galaxy S5 comes with a fingerprint sensor, but the implementation is not as great as Apple has in the iPhone 5s. Instead of using a full frame fingerprint sensor, like the iPhone 5s Touch ID, which detects a fingerprint impression without requiring swipes, the Galaxy S5 requires a swipe gesture to register a fingerprint, which in turn, unlocks your device. The fingerprint sensor sits in the hardware home button. Let this bit echo in your head for a while. Lawsuit incoming? We don’t know. Samsung’s latest flagship device will come in a bunch of new colors at launch, which includes: Charcoal Black, Shimmery White, Electric Blue and Copper Gold. Apart from that, the device will be available in two memory configurations: 16 and 32GB, with option of expansion using microSD with support for up to 64GB. In the battery department, Galaxy S5 offers a 2800mAh battery. Samsung claims that the device will spit out a standby time of 390 hours and talk time of up to 21 hours. At this point in time, Samsung is not talking about the price of the device itself. But if we were to take a guess, we would put the device in the $650 price region, which is pretty standard for flagship Samsung devices these days, with prices going further up depending on which memory configuration you’re going for. 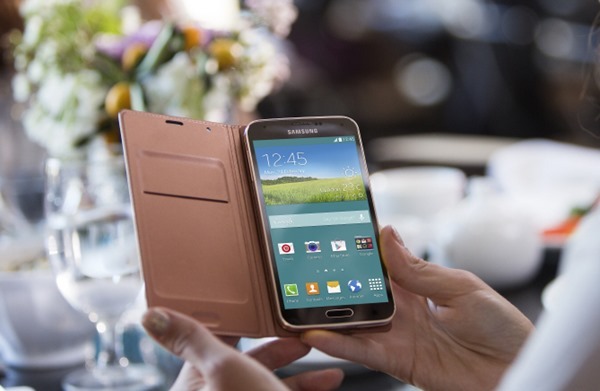 Regarding the release of the device, the new Galaxy S5 along with Gear 2 and Gear Fit will be available on April 11th in 150+ countries. And yes, it will be available on all major carries in the United States, with pricing, as we mentioned above, unknown. Taimur Asad contributed to this post with Uzair Ghani.